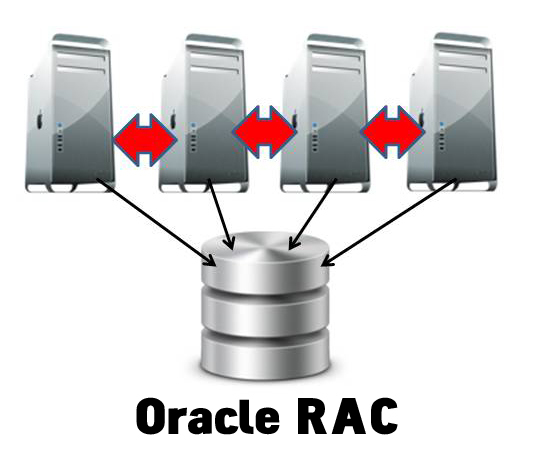 Here you can find out some useful tips and guidance about Oracle RAC database administration. It is most important to know basics for every expert remote dba and very useful in remote dba support. Cluster consists of two or more independent nodes. Cluster software hides structure of nodes. Due to cluster software all nodes are acting as single server. It is component of Oracle for managing two or more instances on different node which are sharing single database. RAC software manages data access and makes consistent image of database. Each node contains separate CPU and memory and self contained server in cluster. It contains single instance of RAC database. Using cluster interconnect each node communicates messages to other nodes. In short using interconnect all nodes are talking to each other. Interconnect transfers all messages of database from all connected nodes. Oracle real application cluster database must be accessible from all connected nodes (Instances). Due to this database must be on shared disk which is accessed by all nodes. RAW device file system available in Unix/Linux and unformatted disk partition available in Windows for making shared disk. Cluster Manager manages and monitoring connected nodes. It regulates messages and activity of nodes in cluster. What is Oracle Cluster file system (OCFS)? OCFS is shared file system and made by Oracle itself for Oracle Real Application Cluster. It allows to accessing single Oracle Home for all nodes. Without using OCFS we should need to install separate Oracle Home on each nodes in Cluster. In previous version of oracle (Oracle 9i) it is called as Cluster Manager. Oracle clusterware monitors all components like instances and listeners. There are two components in Oracle clusterware, those are Voting Disk and OCR. Voting Disk is shared disk component. Information of shared storage & nodes reside in Voting Disk. It is accessed by the all nodes during cluster operations. Every node pings Voting Disk, if will be failing to ping cluster immediate serves as communication failure & the node is evicted from cluster. OCR means Oracle Cluster Registry. It stores cluster configuration information. It is also shared disk component. It must be accessed by all nodes in cluster environment.It also keeps information of Which database instance run on which nodes and which service runs on which database.The daemon OCSSd manages the configuration info in OCR and maintains the changes to cluster in the registry. Dbametrix is world wide leader in remote dba services. Expert remote DBA team of Dbametrix is offering high quality professional Oracle DBA support with strong response time to fulfill your SLA. Contact our sales department for more information.